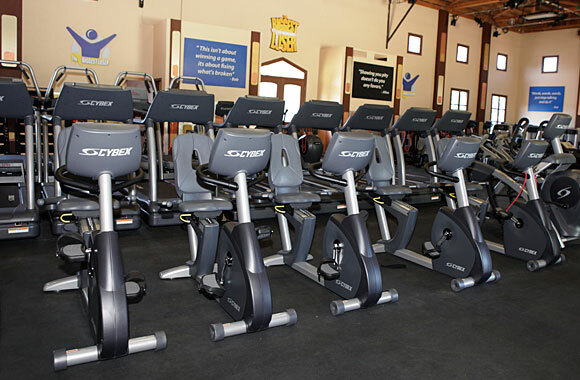 In addition to using the best in fitness equipment, The Biggest Loser contestants also benefit from the expertise of the show’s renowned fitness trainers. Jillian and Bob are constantly coaching, motivating, pushing and empowering the contestants. Their passion to improve performance and achieve significant, life-changing goals has played a driving role in the success of the contestants on the show. These weekly Cybex-The Biggest Loser fitness tips will similarly help you achieve your fitness goals. Tip #1: The 30-30 Burn: Burn calories with interval training. Interval workouts burn calories faster. Alternate your cardio workouts between 30 seconds at peak levels and 30 seconds at lower levels. For the peak level, start with a resistance level that is challenging to maintain 100 strides per minute. Decrease the resistance level if you start to feel too out of breath. This upcoming season, The Biggest Loser contestants will be using The Arc Trainer, because it is ideal for interval training. Tip #2: The Stronger Burn: Add strength training to help you burn more calories. While strength training doesn’t burn as many calories as cardio, it significantly increases your metabolic rate, which is critical to weight loss and fitness. Strength training also produces a metabolic spike for up to an hour after the workout as your body works to recover. This season, The Biggest Loser contestants will be working out on CYBEX’s full line of strength training equipment—from Eagle NX strength line of machines to our free weights and benches. Get the most from your workouts with these training tips.